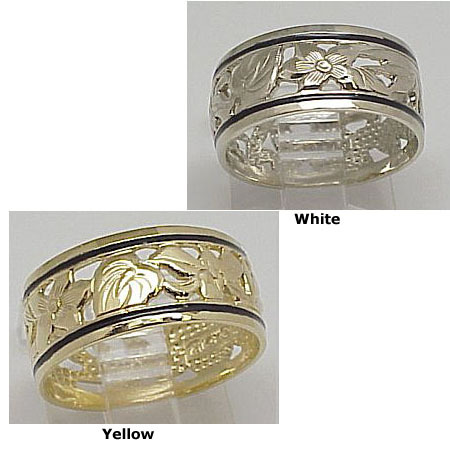 Solid 14k Gold Flower Of Hawaii Hawaiian Ring with Black Enamel Border. Weighs approximately 3.4 grams. Made in Hawaii.